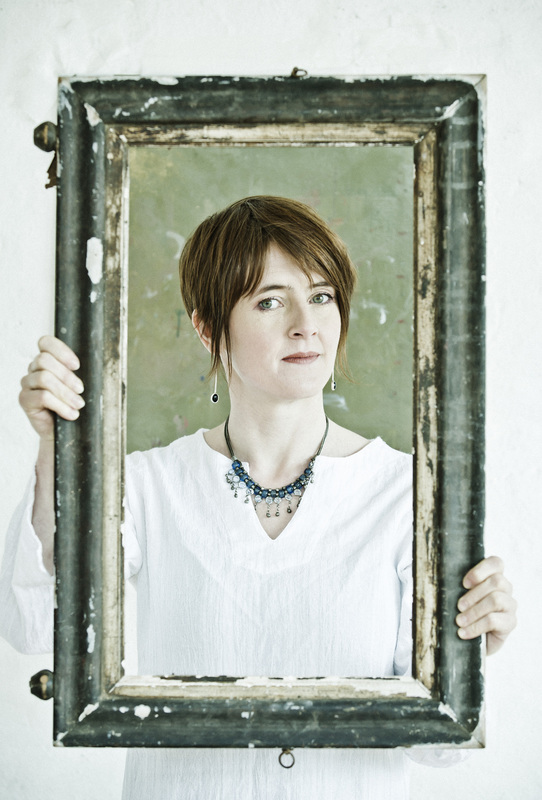 During December the award winning singer songwriter Karine Polwart visited Medical Humanities Sheffield for a three day artist in residence programme. Amy: Welcome to Medical Humanities Sheffield Karine. Tell us how the collaboration came about. Karine: It was Ian (Professor Ian Sabroe, Director of Medical Humanities Sheffield) who got in touch, he’d been to some of my shows and got some of my music and there was something about the way I do my thing that made him think. He had already been interested in the idea of blending science and music and had a hunch that something could come of a collaboration. We met for dinner in July when I was performing in Leeds and he popped over on the train for a blather. It’s not a prescriptive initiative, we are looking to see what might evolve. Vicky: Could you tell us a bit about your background? At university, for example, you opted to study philosophy rather than music. How was that and when did the shift happen? Karine: I studied philosophy at Dundee University, I couldn’t study music because I was never allowed to get any music qualifications at school. In fact I’m a completely unqualified musician. I’ve been awarded an honorary research fellowship through the music department at the University, which makes me smile because I literally have no music qualifications whatsoever! I went on to do a Masters in Philosophical Inquiry, which is a sub-division of philosophy. The masters was was all about engaging non-academics in philosophical discussion so I worked in schools and in pubs and in other non-academic environments, encouraging communities of philosophical inquiry, the whole premise was that everyone can think philosophically and its not something that’s preserved for the elite. My thesis was entitled ‘how to change your mind.’ The idea behind it was that stories and narratives are pivotal and actually change your world more profoundly than rational argument and debate. I rediscovered music much later, as a form of stress relief. I was working in a women’s refuge at the time and I joined a community choir to ease the stress I was under. The class was full of social workers, mental health professionals, teachers and nurses. I had no aspirations whatsoever to be a singer but people began to offer me work and I left my job just before I hit 30, I’ve been a professional musician ever since. Vicky: Do you think those early career choices have been influential in your song writing? Karine: I think so, I fell into folk music and that is what I loved about it. In fact I remember very clearly when I was working for Women’s Aid, and dealing with domestic abuse, coming across a 400 year old ballad from Edinburgh where I was living, all about a domestic abuse, and the parallels between that and what I was doing in my job were massive. So I think that I’m drawn to folk music because it’s quite willing to deal with the full range of human experience. It’s not just about romance and happiness, it’s about family and grief and loss and cruelty and all those things and that’s been a big influence on the kind of writing I want to do because it doesn’t shy away from tricky issues. That’s very typical of my genre of music and I was happy to go there. Vicky: You have worked previously on the highly innovative Darwin Song Project. Can you tell us more about that and about your own song ‘We’re all leaving’? Karine: The Darwin Project was organised by Shrewsbury Folk Festival, which is one of the biggest UK folk festivals. Charles Darwin was from Shropshire and it was the 200th anniversary of his birth and so eight different songwriters from the folk genre were brought together and packed off to a house in Shropshire, for a week, with a remit of writing songs inspired by any aspect of Charles Darwin’s work or life. The thing that struck a chord for me most was the context in which Darwin worked and his human character. So the song ‘We’re all leaving’ was about his daughter, Annie, who died at the age of 10, and is drawn from some of his writings. It is about how that event impacted on him as a father and where it sat with his thinking around natural selection and evolution. Vicky: You have met with patients and medics and also visited our labs as part of your artist in residence programme here at the University of Sheffield. How inspiring was this and how different from your previous sources of inspiration? Karine: Well I’m two days into a three-day visit here and during that time I have met with patients who have had experience of living with pulmonary hypertension and asthma; I’ve had an MRI scan of my lungs and my respiratory function; I have also worked with lab staff, looking at microscopy, so looking at cellular level stuff connected with lung function and getting a sense of how research might impact on treatments for patients up in the Pulmonary Hypertension Unit; I’ve had discussions around the role of hope or not in diagnosis, in communication with patients; so lots of different angles and it seems like a really unique opportunity to have so many different disciplines involved in looking at these particular respiratory conditions. I also met with three women who are a very similar age to me who’ve all got life threatening or shortening conditions and it was amazing to talk to them because they spoke with great honesty about how they view their illnesses and how they cope with them and the other responsibilities in their lives. Amy: At Sheffield’s Centre for Medical Humanities we’re working to forge closer links between medicine and the humanities. Do you see a role for song writing here generally and folk songs in particular? Karine: I’ve come here with little knowledge of what’s done and how I might have relevance so I don’t know yet is the honest answer to that. I can see how there’s a role for humanities in general and I can see how patients telling their stories is very important – I’m not sure if I’m the person or my art form is the way to do that. I don’t know which story, of all the many stories I’m hearing, is of most relevance. At the minute I am just soaking everything up and we will see how it goes. 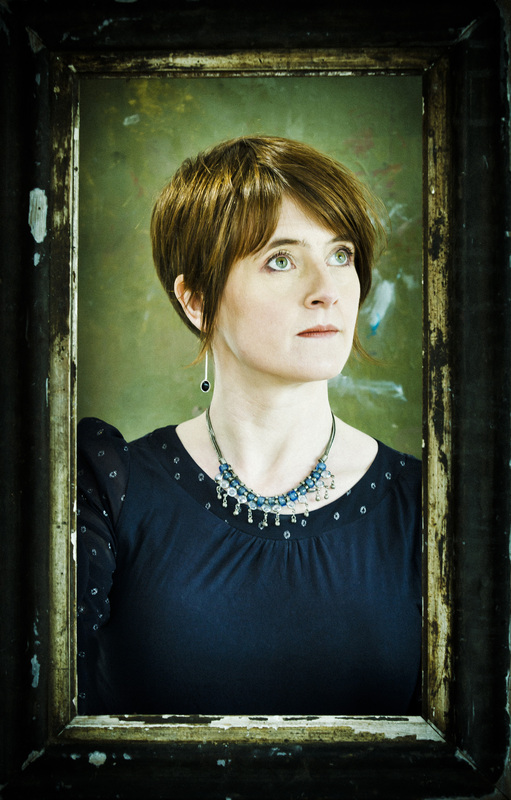 Vicky: Your work is receiving a great deal of critical acclaim, Robin Denselow wrote a review for the Guardian for example, and described you as “a cool, thoughtful singer who is remarkable mostly for her lyrics, her ability to mix stories and memories with a sometimes epic sense of time and history.” Can we expect to hear more from you in 2014? Karine: This project here is a wee bit of a shift for me because mostly I make my living through live touring. I’ve taken a little bit of a step away from that for eight or nine months, specifically to do more commission based work. I don’t know where this takes me, this little visit here right now, but I’m interested in the whole idea of breathing, because I’m a singer and I can’t sing without breathing, this is part of a bigger exploration for me. A little bit more research based so I’m not going to do any live gigs for the first half of next year. I’m also looking at the potential to make work that is not the same, not just three or four minute songs but maybe something more documentary based or perhaps even sound based narratives. To find out more about Karine’s work visit her website and follow her on twitter.